A partnership with the Book Club of California, the traveling exhibition showcases fine press books, keepsakes, and ephemera published by the Book Club of California, and includes selections from Kennedy Library’s Special Collections Fine Print and Graphic Arts Collection. In addition to Book Club of California publications, the exhibit includes photographs of club members with their personal libraries, including local Central Coast club members, and Mrs. Katherine Westheimer, who is the longest-standing club member in California. The exhibit will also feature winners of Kennedy Library’s Book Collection Competition, which was open to the Cal Poly and San Luis Obispo communities and held as part of the centennial celebration. Photographs of the winning local collections are included in the exhibit along with student work from Cal Poly’s Graphic Communication Department, and “Flight,” an installation by Bryn Hobson, a Cal Poly Department of Art and Design student. Created in 1912 for “the study of letters and promotion of the arts pertaining to the production of books,” the Book Club of California publishes distinguished fine press books on California and the West and hosts book-related exhibitions, lectures and demonstrations. 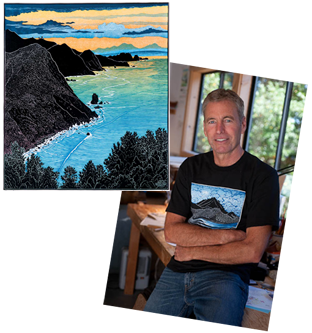 Kennedy Library invites the community to attend our opening reception events throughout the day on Thursday, April 5, featuring our guest speaker, Tom Killion, woodcut artist. Woodcut artist Tom Killion grew up in Marin County, California, on the slopes of Mt. Tamalpais, where the rugged scenery inspired him from an early age to create landscape prints strongly influenced by traditional Japanese woodblock prints. Along with publishing fine art letterpress books, Killion holds a PhD in African history from Stanford University and has taught history at several Bay Area universities. 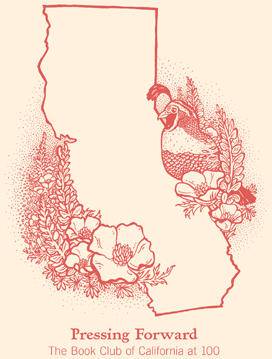 He is the founder of The Quail Press and his extensively illustrated books include 28 Views of Mount Tamalpais, The Coast of California, and Walls: A Journey Across Three Continents. Killion and Gary Snyder previously collaborated onThe High Sierra of California, which was published by Heyday in 2002 and Tamalpais Walking, published in 2009. Killion has shown his work around the United States and Europe, including recent shows at the San Francisco Public Library, Ansel Adams Gallery, Commonwealth Club, and The Book Club of California. Expert bookbinder Erin Zamrzla, author of At Home with Handmade Books: 28 Extraordinary Bookbinding Projects Made from Ordinary and Repurposed Materials (Shambhala, 2011), will demonstrate simple Japanese bookbinding, then lead a hands-on workshop. Hooray, Thursday! It's 2:48pm right now.